“When Conway and former Bush White House lawyer John B. Bellinger III tell The New York Times that they are motivated by their worries about Trump “attacking the press and putting it in danger” or “the disinformation and spin” coming out of the White House, it’s clear they’ve crossed the line that divides conservative critiques on specific issues to broad condemnations that are rooted in the sort of disgust for Trump that marks the liberal resistance. One needn’t like everything Trump says and does to know that nothing endangers the Constitution in his attacks on his media critics, who remain free to savage him and his administration at every turn, often with as little concern for fairness as anything emanating from the White House. Nor is it a conservative principle to defend the right of reporters to lecture or debate the president at White House press conferences, as those who have turned CNN’s grandstanding reporter Jim Acosta into a martyr seem to be asserting. To treat these disagreements, even when Trump behaves badly, into crises in which the future of the republic is put at risk, isn’t a statement of principle. It’s merely Never Trump politics expressed in the sort of disdain for the president and his supporters that seems rooted more in class than in a defense of conservatism, let alone the Constitution. That’s why Conway’s talk of members of the Federalist Society “selling their souls” to realize goals that conservatives have sought to achieve for many years rings hollow. Trump’s coarsening of public discourse is lamentable. Were it part of an effort to actually subvert the rule of law, self-government, and the Constitution, it would have to be fought by all conservatives. But treating the Trump administration as a rerun of the last years of the Weimar Republic is liberal hysteria, not conservative analysis. The substance of Trump’s government has actually been normative conservatism, not revolutionary populism. Many Republicans were skeptical of or opposed to Trump in 2016 because of his style and reasonable fears he was no conservative. If the overwhelming majority of them have come around to supporting him, it is specifically because he has kept his promises and governed like a conservative. It is not conservatives who have sold their souls for judges and deregulation. It is Trump who changed and embraced conservative principles in exchange for the support of Republicans. It will be interesting to see what they find. “The Arizona Republican Party will conduct an independent audit of the Maricopa County Recorder’s Office after three statewide Republican candidates who initially led on election night saw their races swing the other way as outstanding ballots were counted. Despite leading on election night and for some time afterward, GOP Rep. Martha McSally ultimately lost her Senate campaign to Democratic Rep. Kyrsten Sinema. The neck-and-neck race took almost a week to call. The former Air Force pilot initially led her Democratic challenger by about 16,000 votes the day after Election Day. However, the slow count of mail-in ballots pushed Sinema into the lead and eventually handed her victory. McSally wasn’t the only Arizona Republican who saw her lead vanish as outstanding ballots trickled in. Republican Frank Riggs initially led Democrat Kathy Hoffman in the race for Arizona superintendent of public instruction. He went on to lose about a week later. Katie Hobbs, the Democratic candidate for Arizona Secretary of State, had been trailing Republican Steve Gaynor on Election Day, and The Associated Press went so far as to project Gaynor the winner that night. However, after several days of ballot counting, the Democratic candidate is expected to win that race. The Arizona GOP wants to review the counting process in Maricopa County, the most populous county in the state. Good. Tell Mueller to fish elsewhere. This is an interesting map. It clearly shows the Texas Panhandle that I love. I am guessing that the green spot in southwestern Michigan is around Grand Rapids. Importantly, the map shows that a distinct Southern culture still exists. I can’t read the scale, but I see that Utah is green, so I surmise that most giving is green and least giving is red. Like all the liberal areas of the country. People who hope someone else will do good. There are people who do good. And there are people who want everyone else to do good. “After getting crushed in the 2018 midterms, the Florida Democratic Party is now playing defense after staffers sent altered state election documents to voters, a move state officials have asked federal prosecutors to investigate. After saying earlier in the week that the state officials were trying “divert attention” away from the Department of State, which is part of Gov. Rick Scott’s administration, the Democrats on Friday took a different approach: They lawyered up. Herron went to CNN to break the news Friday morning, one week after the vote-by-mail “cure affidavits” were sent to U.S. Attorneys Christopher P. Canova of the Northern District of Florida, Maria Chapa Lopez of the Middle District of Florida and Ariana Fajardo Orshan of the Southern District of Florida. Information related to whose mail ballots were rejected is public information. It’s not uncommon for political parties or outside groups to use that information to reach out to voters who had a mail ballot rejected to encourage them to fix the issues. In most cases, the problem is because a voter did not sign the ballot. To cure a mail-in ballot, voters needed to submit an affidavit on Nov. 5, the day before Election Day. But the altered version changed the date to Nov. 8, the deadline to cure issues with provisional ballots. It’s unclear if any voters availed themselves of the altered affidavit produced by party operatives. Under state law governing “fraudulent practices,” it’s a third-degree felony to “knowingly and willfully … make or use any false document, knowing the same to contain any false, fictitious, or fraudulent statement or entry” connected to the Department of State. While the fraud statute is not contained in the state’s election code, it relates to the 2018 election because the affidavit in question concerned the elections division, which falls under the Department of State. And they all benefited who in Broward County, a Dem stronghold? Stick a fork in Nelson. He’s done. This was the last best hope for Democrats after suffering several setbacks in recent days, including Florida Governor Rick Scott gaining over 800 votes in the mandatory recount, yet as of this writing Nelson has yet to concede. Sen. Bill Nelson has run out of time, run out of favorable court rulings and is about to officially run out of votes. After losing to Gov. Rick Scott on Election Day, losing after an automatic recount and appearing to not make up the gap following a manual recount Friday, Nelson’s campaign was dealt a mortal blow later that evening by U.S. District Judge Mark E. Walker, who crushed the Democrat’s last major hope by upholding a Florida law that forbids county election offices from counting vote-by-mail ballots received after 7 p.m. Election Day. “It’s done. But it was done before today. This was a total Hail Mary,” said a top Democrat involved in Nelson’s campaign who didn’t want to speak publicly before the Democratic Party icon conceded defeat to one of the party’s most-hated rivals. . . . . While party officials refused to discuss the hopelessness of the situation on the record, the Florida Democratic Party on Friday continued to fundraise off the recount, suggesting to donors that Nelson had a shot when his own top backers knew he didn’t. According to Politico, Nelson on Friday “gave an emotional ‘thank you’ speech to staff earlier in the day ‘but it was more of a goodbye,’ said yet another top Florida Democrat connected to Nelson’s re-election. Note that the Meadows side of this did not involve sexual harassment. That was the Democrat. But you’d never know that by CNN’s misleading headline. Headline makes it sound like Meadows was a harasser. He was not. And since I mentioned garbage, we’ll stick with that for the next one too…..
Comey tries a garbage excuse about wanting transparency, yet he knows that they can’t ask, and he can’t answer nearly all of these questions in a public setting. This would allow him to weasel his way out of answering yet again. House Republicans can ask me anything they want but I want the American people to watch, so let’s have a public hearing. Truth is best served by transparency. Let me know when is convenient. As is everything this lying weasel does. He's saying this because he knows that they will be asking questions involving classified material, which he can't answer in a public setting. ” When Jake Hill heard that an atheist activist group had sued to have a historic World War I memorial pulled down because some people were offended by the monument’s Christian symbolism, the Marine got angry. “Americans of all faith backgrounds should be outraged,” Hill, a lance corporal in the Marine Corps, said. Hill, of Madison, Wisconsin, was awarded the Silver Star during the Afghanistan War for his valor in leading his squad through enemy fire in 2010 to rescue a wounded fellow Marine. He also received a Purple Heart after being wounded in action during his service from 2008 to 2013. But back home, another battle is brewing at the Supreme Court. Hill sees the latest effort to remove the 40-foot-tall Peace Cross in Bladensburg, Maryland, as one more step in a long war against religious liberty in America. We do, after all, have to respect the rights of people who don’t believe anything and resent people who do. Don’t worry about Mark Meadows. Since Henderson County is no longer in the same district as Asheville, it is all conservative. 1. Pastors would tell you that the map is the best measure of active religious participation by county in the US. 2. West Virginia is a beautiful state that I love to visit. I enjoy being around West Virginians. I want to make them Southerners, but they are not Southerners. 3. Look at Mississippi! Matthew 19:30 immediately comes to mind. Thanks for the Applebaum link. Her analysis of right wing populism is spot on. It would be interesting to see a charitable giving map which didn’t include church donations. Personally I view charity as inconsistent and ineffective. I’d rather pay taxes and have the govt run a comprehensive program than giving to a charity which may have biases, be sparodic, etc. Or even better forget charity and social assistance and instead raise the min wage, promote unionization, etc. Europeans give far less to charity yet have far less people below the poverty line. Changing the economic structure is more efficient than charity. Right now, they can supplement governmental programs, but are in no position to replace those programs. Unfortunately, in many areas of the US, there is not much Church left. Anne Applebaum is doing some great writing now on Brexit. If I find articles that can be reposted I will do so. America voted for a very bad man. Britain voted for a very bad idea. Across the pond, momentum seems to be growing for a plan to “impeach” that bad idea. I’m guessing (not really) southern states have lower overall advanced education levels than rest of country, which I thought was bad. No? One is intellectual and the other is moral. The decline in our intellectual level has been discussed. The decline in our morals is related to the decline and corruption of the Church. The South is not monolithic when it comes to education levels. Virginians are very highly educated and North Carolina is becoming like Virginia. In the booming metropolitan areas of Texas, Georgia and Tennessee, education levels are high. Rural areas tend to lag behind, but not in all cases. Pockets of the highly educated are present in unexpected places. Three years ago, my family was in Western Mississippi to walk battlefields, play golf, tour antebellum mansions and eat well. My son suggested we take a 45 minute drive to a northern suburb of Jackson for supper. We were pleasantly surprised. The Italian food was as good as any we could get in Dallas and the waiters and waitresses all looked like they could be students at Vanderbilt or SMU (if students at those places generally worked while they were in school). It turns out we were in Madison County, Mississippi which is one of the 40 most highly educated counties in the nation. No real surprises here. New Mexico has the most unusual rankings. Los Alamos partially explains those figures, but it has to be more than that. Whoa, look at what those smart people in Madison County, Mississippi did. That leads directly to the article and chart from 538 which addresses Madison County and other highly educated counties. I think I may have put this up before the election. Although educated women from all over the country are repulsed by Trump, the educated women from the Deep South are more conservative than educated women from the rest of the country and are less likely to vote Democrat, regardless of their revulsion toward Trump. My son sensed and articulated this phenomenon just a few days before this article was published. Looking at the last chart in the 538 article, I saw something stunning that RKessler can appreciate. Only three low education/ majority minority counties in the nation went Republican by more than 20% in both 2012 and 2016. One of these was San Patricio County, Texas (near Corpus Christi) that went Republican by over 20% in both years. The other two are Ector County (Odessa), Texas and Lea County (Hobbs) New Mexico which voted Republican by margins of over 40% in both years! Both of those counties are populated by conservative Hispanics and the toughest, meanest, most conservative white people on earth. Reading the figures almost makes me want to drive out there and go to church with those people in the morning. A number of them are my relatives. Yes, blah blah, I agree. But look at what those smart people in that county did! SolarP, In grad school, it is less looking at isolated facts and more looking at facts in context as 538 did at 5:57. Little Bush won that highly educated county twice by 30%. They were so smart they favored a candidate like Hillary Clinton that much more than John Kerry? OK. I’m on board with the pro-abortion stance of smart people now. Interesting stuff in those results. Little Bush won the County twice by 30%. However, McCain, Romney and Trump all won by 15-16%. Meanwhile, the population of the county was exploding. It went from 30,000 voters in 2000 to 50,000 voters in 2016. Who were those new voters? I’m guessing they were educated? I had heard about these sort of breakdowns before, but had never before seen them. 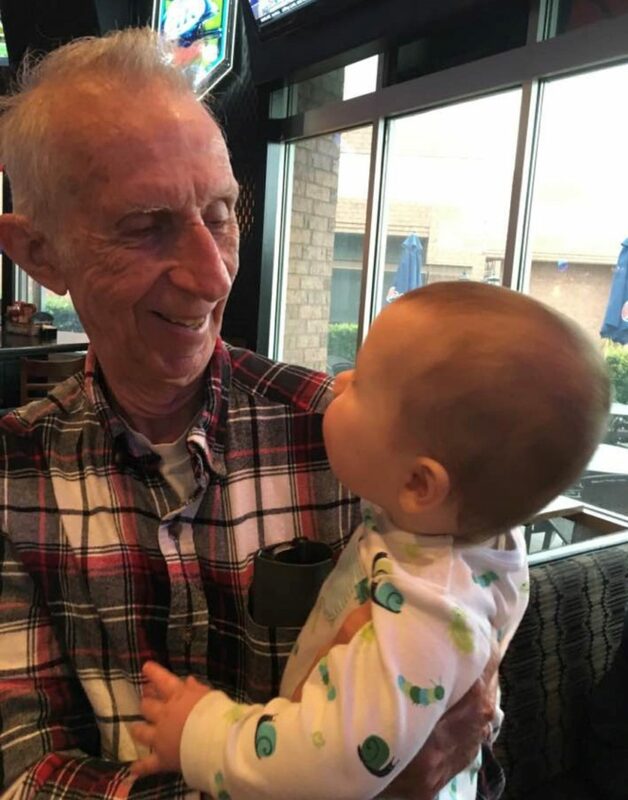 Based on my experience at the restaurant and the fact that the county is the only one of the most highly educated counties in the Deep South not in a huge (4,000,000+) metro area, I assumed the county was overwhelmingly white and was gaining population rapidly because of white flight from nearby Jackson. In fact, the county has been 37-39% black in each of the last two censuses. The voting breakdown can be explained almost entirely by race. I think it would take a local to explain why Little Bush was such a superior candidate in the county. They may have thought of him as a fellow Southerner. These charts are helpful and confirm what we probably expected: While the other two highly educated counties in the Deep South (Collin in Texas and Fulton in Georgia) are recipients of many, many immigrants from the Northeast, Midwest and California, most immigrants to Mississippi come from neighboring Southern states and many are retirees moving to the coast. Kim could probably tell us about that. Let me make one more guess: I bet there is at least one university in the county. That would help explain the presence of so many of the “highly educated” Let’s go check. Bad guess. There are no major colleges in Madison County, but there are several in nearby Jackson. The largest of these is Jackson State, a historically black college. Maybe many of the professors live in Madison County where the public schools are better. Kudos, Ricky, for taking an educated guess. I sincerely give you credit for your analysis–it calls to mind, in the reverse (i.e., to your credit), sports analysts like Joe Morgan or Adam Schefter who only state the obvious and never make predictions beyond the boilerplate. In any case, I’ll give more thought to your input when I have a bit of time. For now, I’m trying to find a movie on Amazon my family and I might be interested in. ‘Tis the season! 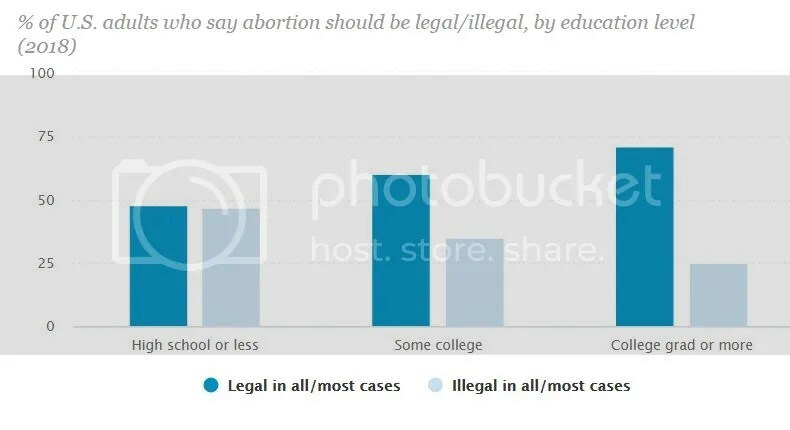 Ricky – Correct me if I’m wrong, but aren’t college educated people more likely to be liberal and support liberal causes (such as abortion, as SolarPancake pointed out)? That could explain why they tended to stay away from Trump. Educated doesn’t necessarily mean wise. Good question, Kizzie. Back in 1994 people with college educations favored Republicans by a margin of 54% to 39%. Republicans lost some ground with college educated people before Trump. They have lost a lot of ground with Trump. To be fair, Trump also attracted millions of people without college educations who had voted for Obama. I wouldn’t call that group conservative and they aren’t voting for Trump because he is a conservative. They voted for Obama and they voted for Trump because they are easily conned. They believed Obama when he blamed the rich and corporations for their problems and they believed Trump when he blamed the Mexicans and the Chinese. I don’t agree with the majority of college graduates on many issues. However, right now the one advantage college grads have over non college grads is that most of the college educated can see that Trump is a lying con man. The uneducated struggle to grasp that critical, obvious fact. Trump has always conned and cheated the uneducated. His casinos targeted the uneducated with “get rich quick” promises. None of the three wives he cheated on have a college degree. “Trump University” wasn’t a real school. It was another con designed to soak the gullible and the uneducated. Debra, I thought these stories on China were interesting. We need a new word to describe its current form of government. It is repressive. It includes a great deal on central planning. However, it is far from communism. Look at the article which deals with income growth and income disparity. I think the closest comparison would be to Germany in the mid to late 1930s when Hitler was putting people to work and growing the economy with lots of central planning but had not yet started to wage war on his neighbors or practice genocide. My son was telling me on Friday that he thinks Elizabeth Warren would be an even worse candidate than Hillary. It seems that Nate Silver spends a fair amount of his time using math to back up my son’s theories. Most of those are pretty unsurprising. You'd expect to see Romney and Beto on the list. But MA is an interesting one. Warren's performance was underwhelming: "only" a 24-point win in a state that voted for Clinton by 27 in a very blue year against a fairly obscure opponent. Still mad about that rube beating out your elitist friends. And still blaming the peasants too…. Come up with some new material you elitist wannabe. Attitudes like yours are why he won, and why he’ll be re-elected. You just don’t get it, but maybe you will after he wins again…..
“Remember when Democrats mocked last year’s tax-cut legislation? And Nancy Pelosi called the tax breaks for Americans “crumbs”? But President Trump and congressional Republicans said they would ignite a booming economy and actually increase federal tax collections from greater economic activity including more consumer spending, business investments, higher wages and even employee bonuses. Well, guess what? Just 47 weeks after Trump put his flamboyant signature on the bill, it’s all happening. Unemployment is at an historic low. Employment is at an all-time high. Wagers are growing after years of stagnation. And now from all that increased economic activity, the federal government has just reported historic record tax revenues in October, the first month of the new fiscal year, of $252,692,000,000. That’s more than $11.4 billion above revenue for October of last year, which was the previous record tax revenue for an October. And it did this by collecting more than $3 billion less in personal income taxes, thanks to the tax cuts. “Five Air Force Academy Cadets are being called heroes for saving a family trapped inside their car after they slid off the road and fell down a 100-foot ravine. KRDO spoke to the cadets who are all Sophomores at the Academy and are on the same squadron. Cadet 3rd Class Antonino Del Rossa, Karl Broerwinkle, Connor Settle, Joel Krause, and Joseph Canoy were driving back from a ski trip in Breckenridge on a cold and snowy Veterans Day. While on CO-9 just West of Fairplay, the car in front of them started fishtailing and took a sharp turn launching the car off the side of a ravine. “The best way to describe it, it was there then it was gone,” said Cadet Del Rossa. The overrunning of Texas is nearly complete. Let’s hope Ricky likes the Democrat carpetbaggers better than the peasants they’re replacing. I’m sure they’re college educated libs, so he’ll be cool with it. You and the media can blame Trump all you want, and he gets some of the blame justly, but you guys are dying from self-inflicted wounds here. ” For a quarter century, Republicans have dominated Texas politics so much that the Democratic minority has often been an afterthought. The big political battles in Austin have been fought between conservative and centrist factions within the GOP, as Democrats watch from the sidelines. But Democratic gains in this year’s midterm elections on the federal, state and county level show the prospect that Texas will become a swing state —a promise Democrats have made for years — is slowly coming to fruition. Texas’s evolution illustrates two of the defining inflection points in American politics today: A growing divide between liberal urban cores and conservative rural bastions; and a shift in attitudes of suburban voters turned off by President Trump and his Republican Party. Those factors have helped turn states like Nevada and Colorado blue, as large metropolitan areas like Las Vegas and Denver dominate more conservative rural areas. At the same time, they have pushed states like Pennsylvania and Michigan toward purple status, as the once-dominant metro areas like Philadelphia and Detroit lose population and political influence. In fast-growing Texas, both of those fulcrums are tipping toward Democrats. Hundreds of thousands of new residents are moving into Texas every year, choosing to live in fast-growing cities and suburbs around the state’s four largest metropolitan areas. Six of the nation’s ten fastest-growing counties are in Texas. About one in every ten Texas residents did not live in the state when Sen. Ted Cruz (R) first won his seat six years ago. “We have a lot of new voters who have held up their hands. There’s thousands of new voters moving to Texas every week,” said Chris Homan, a veteran Texas Republican strategist. Those new residents are changing the partisan hue of once-reliably Republican suburbs and fueling a massive surge in new voters in solidly Democratic urban cores that even Republicans acknowledge will put the state’s massive haul of electoral votes in play for the first time in a generation. To say it’s entirely Trump’s fault is dishonest. Unless of course he used his time travel powers again. And just an informal poll here folks. Has anyone ever punished down ballot local, state, Reps, and Senators whose values they agreed with simply to send a “message” to a President who has nothing to do with the office in question? I keep hearing that this happens, and it’s all to spite Trump, but I’ve not once voted against a Republican or Democrat because I disliked that parties current President. It is interesting that the Pennsylvanians and other Yankees who move to Texas tell us that they are conservatives who moved to the South because they were tired of paying high taxes to support and subsidize Democrats and Trumpkins back in their home states. However, compared to Native Texans, these “conservative Yankees” are liberal. Our Mexican immigrants can easily become Texanized. Our Yankee immigrants are more like Muslims. They stick together and often maintain their Yankee ways. AJ – No, I don’t believe I have ever, or would ever, do that. Kizzie, You will probably get a kick out of what my mother considers to be the most prominent Yankee custom. She believes Yankees all drink alcoholic beverages, and that offends her Southern Baptist sensibilities. All except Trump. He may lie, cheat and molest people and represent all that she was taught to hate about Yankees, but he never drinks alcohol and Mother gives him credit for that, though not enough to label him as a “Good Yankee”. I could no more live in the North than a Jew could live in Mecca. Your streets have names that are an anathema to us, and there are offensive statues and monuments around your courthouses. I am not aware of anyone who voted for any Democrat House Member in 2018 in order to “send a message” to Trump. Trump doesn’t read, so why try to send him a message? Many conservatives such as Ross Douthat and Tom Nichols advocating voting for Democrat House members in 2018 in order to provide oversight and a check on Trump. House Republicans such as Devin Nunes disgraced themselves and their party by acting as idiotic stooges and toadies for Trump as he waged a moronic verbal war against US law enforcement and intelligence agencies. For many conservatives, that could not be allowed to continue. I could not pick a poison. Half-witted Trump stooges who attacked the Justice Dept. and defended Trump’s destructive tariffs or Democrats committed to socialism, abortion and perversion. Yuck! I understand why many young conservatives voted Libertarian. When we were younger, I used to read Theodore H. White’s Making of a President books following each presidential election. I think DJ did as well. White was a little liberal, but in an inoffensive way, sort of a like an earlier version of Bob Woodward. White made Orange County, California famous. He studied it in depth and tried to explain how its residents supported Barry Goldwater over Nelson Rockefeller in 1964. Orange County was the heart of Reagan Country when he was twice elected as Governor and then twice carried California in Presidential elections. After the 2018 elections, all Orange County Congressman will be Democrats. The decision by Republicans to embrace Trumpian dishonesty and ignorance has ramifications. Why might college graduates not like this guy? The White House is ready for Acosta’s return to the press corps…..
I’m impressed Ricky resisted making any jokes about raking the forest floor.